You want to eat gluten free, but don’t know where to start? You heard that eating gluten free has to be expensive and complicated? can i just order this in regular book form so that i can keep it handy in my kitchen? what are some of the recipes? Are they way out there that you can’t find the ingredients? I don’t want to waste money and time on the book if it doesn’t have in the pantry ingredients. We are gluten and dairy free, will this cookbook work for us? Thanks. 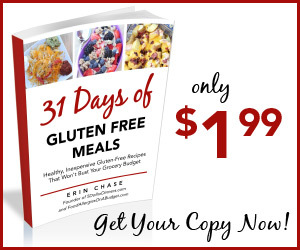 I ordered this 31 days of gluten free cookbook, using PayPal. But it did NOT download on my IPad. I received a message saying “there was a problem. ” How do I fix this so I can get the cookbook I paid for? Solved my problem by downloading on the laptop! Just ordered it through Amazon for my Kindle. Very excited about it. My husband is on a gluten free diet right now and the gluten free products are SO expensive! Plus not necessarily good for you. I’ve been trying to make recipes that use naturally gluten free products so I’m anxious to see how many of those I can find in this book. We are also dairy free. Do your recipes accommodate multiple food sensitivities? thought this was being offered free. OK, I just bought this. Some are questioning the price….really? It’s $2. Looks well worth the money, I mean I spend that getting a soda at a fast food joint. Anyway, I encourage you all to bite that bullet and buy a copy! It covers all daily meals. would newver understand. It seems too complex and extremely broad for me. 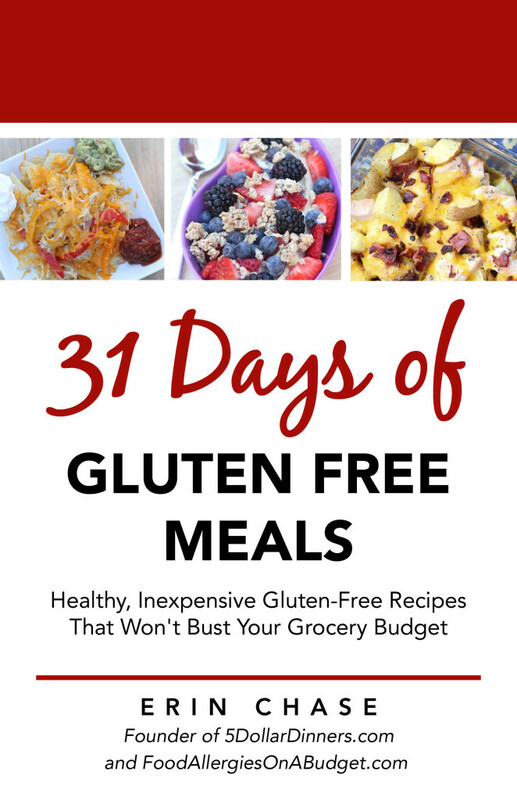 Purchased the 31 gluten free meals book. Flipped through it and it seems good. There is a link at the back for a monthly meal plan and shopping list using this book, but all of the recipes on the menu plan are not in the book. I purchased only a collection of recipes, I understand that. However, I would like to see a version which includes all of the recipes on the meal plan. Looks great and after some time spent lost about the location of the recipes, I decided to try week 1. Hopefully, I can find the recipes! Thankful for a gluten free version! It’s really not as simple as “substitute gluten free version” that most recipes claim.